On August 22nd, 2018, The New York Times reported that two agents of the Iranian regime had been arrested on charges of spying in the US. 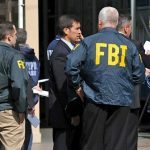 The pair stand accused of intelligence gathering on American citizens with links to MEK, the political groups advocating for regime change in Iran as well as carrying out surveillance against Jewish facilities. Ahmadreza Doostdar and Majid Ghorbani, 38 and 59 respectively, were both employed by the clerical regime in Iran. Doostdar had dual citizenship as a US-Iranian, while Gurbani arrived in the US in the mid-1990s. The arrests come as the international community, with the US in particular, is beginning to adopt a firmer stance towards the Iranian regime. Donald Trump has reintroduced sanctions after withdrawing from the Iranian nuclear deal. Iran’s espionage and terror networks have also been under the spotlight in recent weeks. Following the foiled terror attack in Europe, where an Iranian diplomat posted in Vienna coordinated a terror attack in Paris, the US State Department has urged every nation with an Iranian embassy on its soil to investigate the embassy activities. 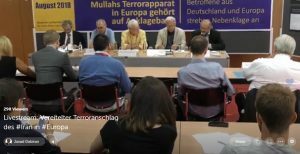 The case being brought against Doostdar and Ghorbani alleges that the pair monitored the People’s Mujahedin Organisation of Iran (MEK). Ghorbani attended MEK rallies and photographed its members. 28 photos of MEK members were found in Doostdar’s personal luggage, along with a receipt for $2,000. Court documents allege that Doorstdar paid Ghorbani $2,000 for the photos, complete with annotated notes on those depicted. Further evidence against the pair was gathered through court-ordered electronic surveillance. In one recording, Ghorbani can be heard telling Doorstdar that he had seen Alireza Jafarzadeh at a New York MEK rally. Jafarzadeh is deputy director of the National Council of Resistance of Iran (NCRI), an Iranian anti-regime opposition group. In the same conversation, Ghorbani described those attending the rally as deserving “one-shot”, referring to a bullet. Following the arrests, Jafarzadeh spoke to the media. The New York Times article quotes Jafarzedah directly. He said, “the Iranian regime has been operating her under different covers… for decades”. He added, “they got away with pretty much everything”. 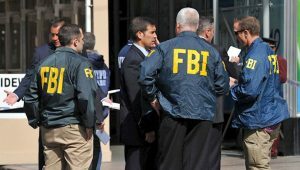 The pair violated several US laws, including working as agents of a foreign government without notifying the US attorney general and breaching the current Iran sanctions. The case is being tried in the US District Court for the District of Columbia. FBI representatives from Washington DC and Los Angeles investigated the case. The court case is due to begin on September 6th. The Caspian sea that was once part of Iran, is now shared between five states. Iranian regime’s President, Hassan Rouhani signed an agreement, accepting a small share of the sea, nearly 11% of the total area in a bid to gain regional support for its falling regime. On Saturday, August 18th, dozens gathered in front of the Majlis (Parliament) in Tehran to protest the Caspian Sea Treaty. The treaty, signed by regime President Hassan Rouhani on August 12th, signed away Iran’s claim to a large portion of the Caspian Sea. The giveaway of the Caspian Sea is widely unpopular with the Iranian people, who see it as the latest effort by the regime to hold onto power by whatever means possible. 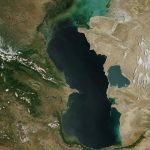 The Caspian Sea is one of Iran’s greatest natural resources, and the despicable move by the regime to give it away has been met by widespread criticism. The protesters were attacked by security forces and anti-riot police, who attempted to stop the protest. There were reports of a number of arrests of protesters by security forces. Those who were arrested were taken to undisclosed locations. 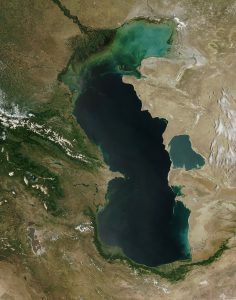 The Caspian Sea legal convention was signed on August 12th, paving the way for the sea to be divided between Azerbaijan, Kazakhstan, Russia, Turkmenistan, and Iran. Iran’s ownership of the Caspian Sea will drop from 50 percent to 11 percent under the treaty. The convention also led to agreements on a ban on ships owned by countries other than the states bordering the Caspian Sea, as well as exports of the sea’s oil and gas reserves. The treaty was signed by presidents of the five border nations at a meeting in Aktau. Mrs. Maryam Rajavi, the President-elect of the Iranian Opposition, which includes the MEK, responded to the Caspian Sea Treaty in a statement. On the 6th of August, as US sanctions affecting the purchase of dollars, metals, and car and plane parts were re-imposed on Iran, an interview with Hanif Jazayeri was broadcast across major American cities. Listeners in Las Vegas, Baltimore, Minneapolis, New Orleans, Raleigh, and Pittsburgh could tune in to hear the Iranian news editor discuss the latest wave of economic sanctions and their effect on the already unstable clerical regime. The United States announced its latest wave of sanctions, which will target the Iranian oil industry, the backbone of the Iranian economy; however, the EU and Russia have already voiced their opposition to the sanctions. They announced they would prefer to salvage the crumbling JCPOA agreement. Hanif opened the interview by fielding a question on the changing nature of the Iranian protest movement. He said, “the Iranian people have spoken loud and clear”, “they are blaming the regime for their economic hardship”. In the wake of the JCPOA, the Iranian regime unlocked billions of dollars in aid packages, but the people saw none of the benefits. 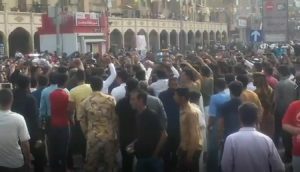 Following this blatant abuse of power and mismanagement of resources, the Iranian people have taken to the streets in their thousands to express their frustration at the mullahs’ regime. The people want an end to the regime. Hanif went on to mention the Iranian opposition leader, Maryam Rajavi’s appeal to the international community to impose sanctions on Iran’s oil industry and exclude the current regime from the international banking system. Only the regime’s Islamic Revolutionary Guard Corps (IRGC) is benefitting from oil exports at present. Hanif Jazayeri has played an active role himself in drumming up international support for the Iranian protest movement. 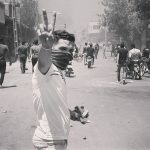 He has been collecting footage from protestors in Iran and publishing them across social media to raise international awareness for the struggle of the Iranian people. However, many within the international community have expressed reluctance and hesitation at the idea of reintroducing sanctions. A common argument against Maryam Rajavi’s proposal of sanctioning the Iranian oil industry is that it would further hurt the already struggling Iranian population. Hanif attempted to dispel this common misconception. He cited the slogans adopted among the protestors which state, “our enemy is right here, they are lying when they say it is America”. The people of Iran have suffered under the Iranian regime both when economic sanctions have been imposed, and after the sanctions were lifted. They saw no benefit from the lifting of the sanctions, their standard of living did not improve. Therefore, the lifting of the sanctions empowered the regime. It gave the Iranian regime more money to spend on suppressing the people. In response to Hanif’s argument, the interviewer countered that economic sanctions could empower the hardliners within Iran. They could be interpreted as “economic bullying” and allow the more extreme elements in Rouhani’s regime to portray Iran as a victim and being unfairly punished by the American government. In reality, there are not hardliners and moderates within the Iranian regime. They are all hardliners. Rouhani himself has threatened to disrupt passage through the Strait of Hormuz if oil sanctions are imposed on Iran. His regime continues to arrest and execute political dissidents. There are no “hardliners” and “moderates”, only the regime in all its brutality. Again, Hanif pointed to the slogans of the protestors to illustrate the point. The demonstrations across Iran have featured slogans stating, “no to hardliners, no to moderates”. More than half of the country is in poverty and has been so for nearly forty years. For Iranians, the situation deteriorated after the sanctions were lifted. The regime received a financial windfall, which only gave them more resources to use in their routine abuse and repression of the Iranian people. “In the last two years, for example, the economic situation has spiraled downwards”, said Hanif. Finally, Hanif Jazayeri saluted the brave protestors turning out across Iran, risking imprisonment and death in their determination to make their voices heard. 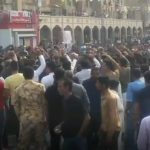 Protests, strikes, and demonstrations have spread throughout the cities and towns of Iran in response to the country’s crumbling economy. 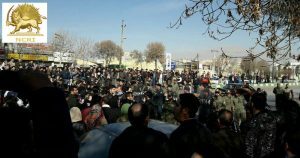 Protests began early last week with a merchants strike after the rial plunged in value yet again. The rial has dropped 120 percent in the last six months alone, leading store owners to close their shops and take to the streets to protest rising costs. 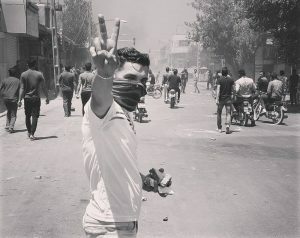 The protests have now grown into an uprising, spreading to every major city in Iran over the past week. Protesters have confronted suppressive forces in the streets, using police tear gas to set fire to tires and police motorcycles. “The Iranian people are determined to bring about a regime change and they are not going to stop at anything short of that. The prospect for the mullahs to find a way out is becoming dimmer by the day. Sources reporting major demonstration in numerous streets. “This is why the regime’s senior officials keep warning about the bleak prospects that loom on the horizon for the regime and the growing role of the resistance. “It is time for the European countries to see the fast-moving realities in Iran and forgo any deals with the Iranian regime. “Rather they should hold the clerical regime accountable for all its malign activities and side with the Iranian people and their aspirations. “We would welcome any serious and tangible retreat by the mullahs because that would ultimately serve the interests of the Iranian people and the resistance units to bring down the regime and to establish democracy. “But as the regime’s supreme leader, Ali Khamenei, has said time and again the regime is incapable of any major change of policies and change of direction. 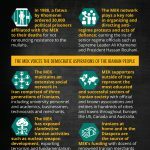 The MEK believes that the only way to bring meaningful change to the Iranian people is through regime change. The economic problems facing Iran right now are dire, but they are not new, nor are they solely a result of sanctions. The rial has been losing value since the regime took power in 1979, due to the clerical regime’s corruption and incompetence. On Friday, August 3rd, Fox News published an article on its website from Ben Evansky, titled “Iran’s Widespread and Growing Protests Push Citizens to Brink”. Evansky outlined the rising discontent among the Iranian population. His article comes at a prominent moment. 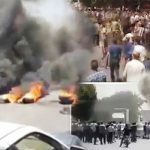 The residents of Isfahan have joined the nation’s truck drivers in their protests, and protests in Tehran continue to rage. The economy is in sharp decline as decades of mismanagement has caused rampant currency inflation. On top of a spiralling economy, Iranian’s have to contend with water shortages and price increases for basic essentials like food and drink. Evansky describes how in these uncertain times, the Iranian protest movement is rapidly expanding. 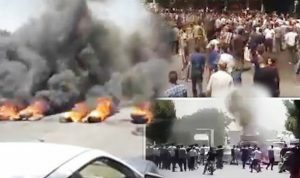 The People’s Mujahedin Organisation of Iran (MEK) and their activists have published footage on social media of the protests in Iran. Tehran’s residents can be heard chanting “the mullahs must get lost”. Similar images have been released from Arak. Protestors there are using the slogan, “no to Gaza, no to Lebanon, my life for Iran” (referring to the mullahs use of Iranian finances to fund foreign conflicts and terrorist organizations abroad while Iran’s own population goes hungry and thirsty). In his article, Evansky analyzed the slogans used by the Iranian population during the protests and discovered they provide significant insight into the opposition movement. Firstly, the women of Isfahan province are among the chanters and protestors. Fox News based on analysis of an Iran analyst, asserted that the women of Najafabad in Isfahan province “used to be a traditional bastion of regime support”. Now, these same women are in the streets shouting, “they fed Syria but made our young people turn old”. It is not just the women of Isfahan, other segments of the regime’s support base are turning against them. 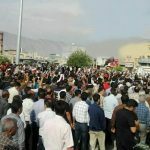 The urban and rural poor, the day laborers, the farmers, and the factory workers have all joined the protest movement, uniting all segments of Iranian society in opposition. Fox News goes on to suggest that this could be a pivotal moment for the Iranian opposition. The residents of the regime heartlands have been the mullahs’ foundations of support. Those residents are now beginning to realise that the mullahs do not have their best interests at heart. This realisation casts uncertainty on the mullahs’ future in power. Many in the US government have proposed supporting the Iranian protestors. In his article, Evansky cited a spokesman for Republican Senator Ted Cruz who said that “the United States should be doing everything possible to support these protestors”. The US government’s stance towards the mullahs is hardening. Since Donald Trump withdrew the US from the Iran deal, he has passed a new round of sanctions, urged European nations to adopt a tougher stance, and put a resolution through Congress pledging US support to the Iranian protestors. 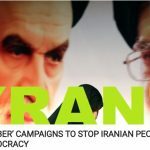 The latest protests and the hardening position of the international community towards the mullahs has set in motion a series of events that will lead to the ultimate collapse of the clerical regime. Like falling dominoes, the rapidly expanding protest movement will become too great for the mullahs to repress and silence. Rajavi ended her statement by celebrating the powerful political force the Iranian public hold in their hands and their voices. “The is no force more powerful than the united force of young people”. 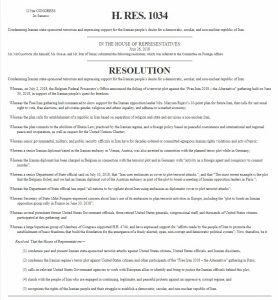 The HR1304 resolution referred to the U.S. House of Representatives Committee on Foreign Affairs, expressing concerns over the terrorists activities of the Iranian regime and supporting Iranian people’s quest for freedom. 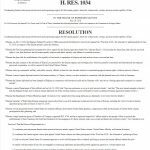 A resolution submitted to the US House of Representatives on Thursday, July 26th condemning the Iranian regime’s state-sanctioned terror plot in Europe. In the second session of its 115th Congress, the House of Representatives submitted resolution 1034. The text of the resolution explicitly condemned the Iranian regime’s use of state-sponsored terrorism against Iranian dissidents and US citizens. It also expressed solidarity with the Iranian people “who are engaged in continuing legitimate and peaceful protests against an oppressive, corrupt regime”. The move comes after details emerged of a terrorist plot organized and planned by the regime leadership in Iran. French authorities arrested a Belgian couple of Iranian descent with explosives in their possession. 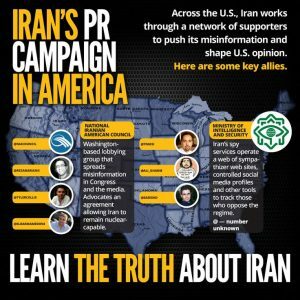 Their target had been the 2018 Free Iran rally, organized by the Iranian resistance coalition, the National Council of Resistance of Iran (NCRI), and the People’s Mujahedin Organisation of Iran (MEK). The rally, which took place on June 30th, drew in a crowd of more than 100,000 people, as well as delegations of politicians, journalists, and activists from the US, Canada, France, Germany, the UK, among others. 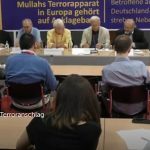 Following the arrest, the couple admitted that they had received their orders and the explosives from Assadollah Assadi, a diplomat working within the Iranian embassy in Vienna, and an agent for the Iranian Ministry of Intelligence and Security (MOIS). Assadi was arrested by German authorities following the couple’s admission. The foiled plot is merely the latest development in a long history of state-sponsored terror and violence. The Iranian regime’s leadership have been behind hijacking, assassinations, kidnappings, and bombings which have taken place across the globe since the 1980s. Hossein Abedini recently described his harrowing experience of being attacked by two masked gunmen in 1990. While European Governments have offered muted responses following the failed terror attack on French soil, the US has been unequivocal. On July 22nd, Secretary of State, Mike Pompeo, addressed the Iranian-American community at the Ronald Reagan Presidential Foundation and Library. He pledged the support of the US government to the Iranian people in their quest for democracy and regime change. A Senior Official in the State Department also urged the international community to investigate diplomat activity in Iranian embassies. The anonymous official stated, “all nations need to exercise vigilance to protect themselves against the Iranian [regime] threat”. The latest resolution from the House of Representatives is in line with the US Government and the Trump administration’s firmer stance towards the clerical regime in Iran. It also goes further than previous messages of support. The bill acknowledges the regime’s involvement in terror activities and condemns it accordingly, but it also recognizes the right of the Iranian people to establish a democratic republic in Iran. The resolution explicitly mentions President-elect of the NCRI, Maryam Rajavi’s 10-point plan dedicated to establishing a secular, democratic, non-nuclear Iran. This holds significance for the Iranian people and the opposition coalition. Rouhani’s brutal and violent regime cannot be permitted to engage in international acts of terrorism with impunity. The US has taken the lead in condemning the abhorrent actions of the mullahs. Now the rest of the world, particularly Europe must follow the US Government’s lead. The Iranian regime must be held accountable for its violence.